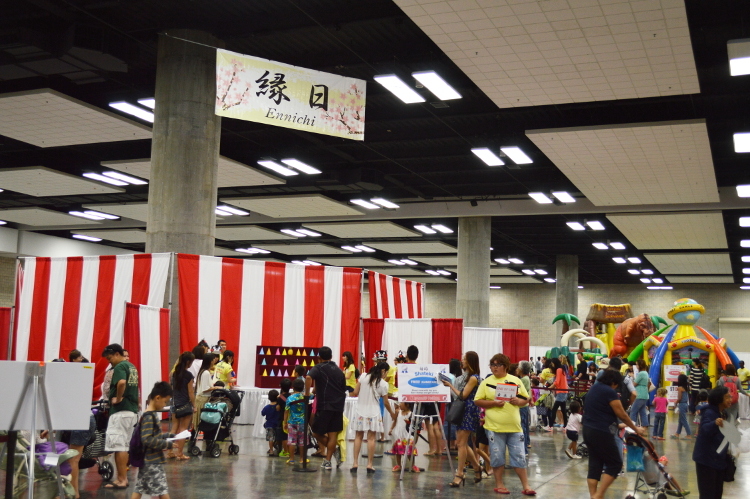 The Ennichi Corner and bon dance were held on Sunday, March 7 and Saturday, March 8, 2015, at the Hawaii Convention Center. Unlike last year, there was a big scaffold called “yagura” built-in the middle of Mall Lobby. The people gathered around by the set and enjoyed the bon dance in a pleasant atmosphere. Also, there were people from various countries that participated in the bon dance. It seemed that the Japanese festival has been widely recognized across the world. The sound of the taiko drum and the beautiful accompanist often called “ochoushi” filled the entire hall. 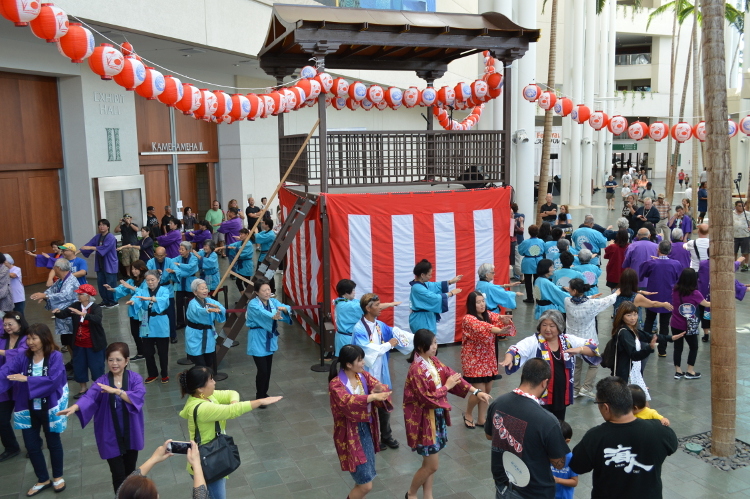 It was played by a group, Iwakuni Odori Aiko Kai which participates annually in the Honolulu Festival. Also, it was touching to see everyone from all over the world dancing lively with one another and be united as a whole. Please watch our video clip below. It was held twice on the 7th and once on the 8th. Each bon dance lasted for 35 minutes. 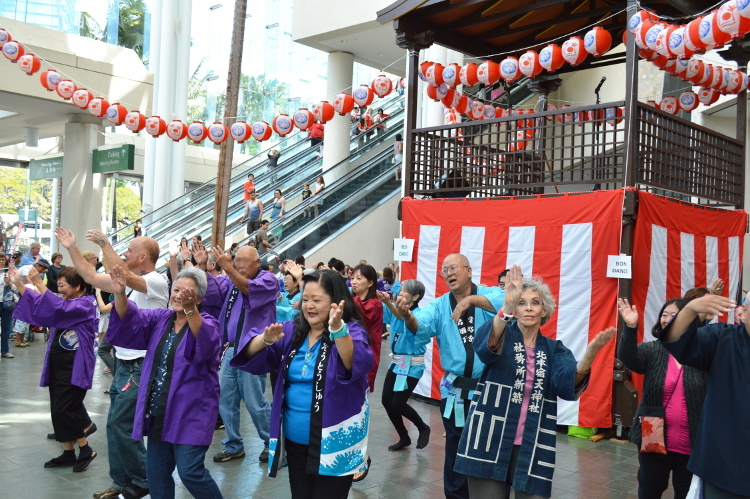 The people learned and enjoyed as they danced to various types of Ondo song, which began with “Dai Tokyo Ondo”. 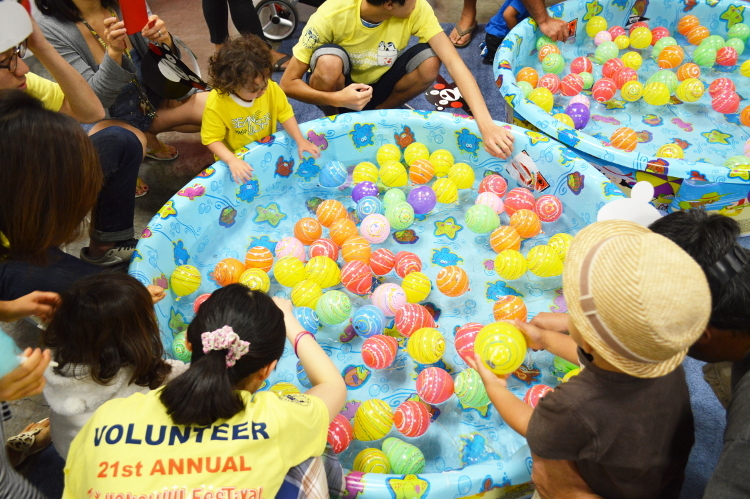 We interviewed some familiar faces of annual participants in the bon dance. We were impressed by the passionate participants! We look forward to seeing you all at our next year’s festival. 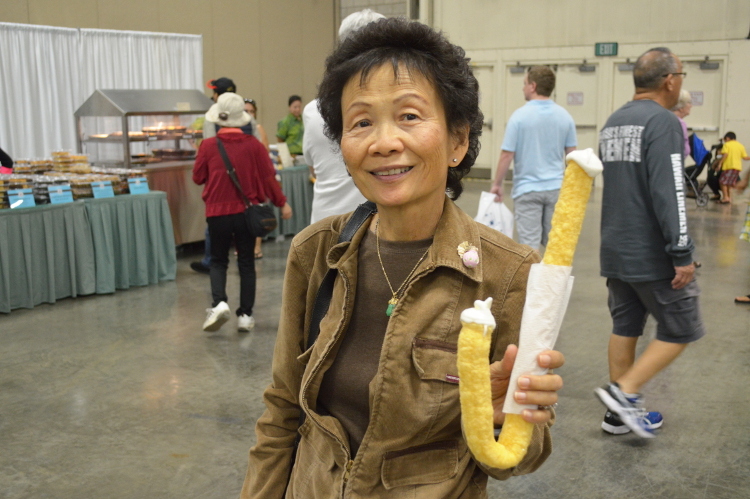 Once again, we were able to hold the Ennichi Corner for this year’s Honolulu Festival which is one of the traditions of the Japanese festival. 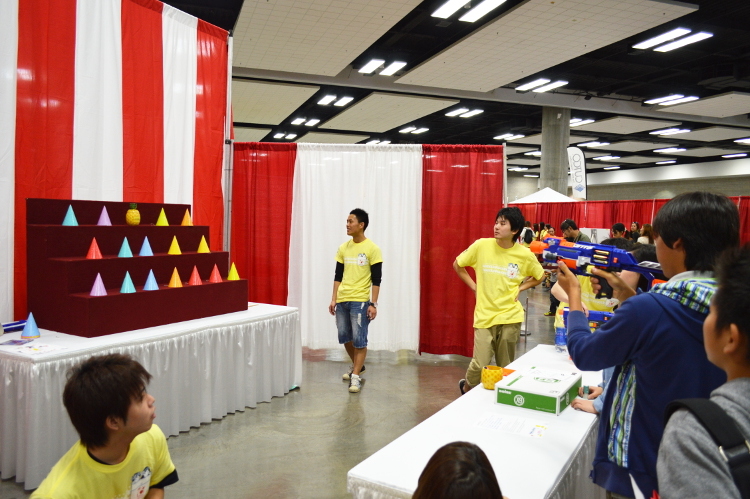 The spacious corner was set-up on the first floor of the Hawaii Convention Center. 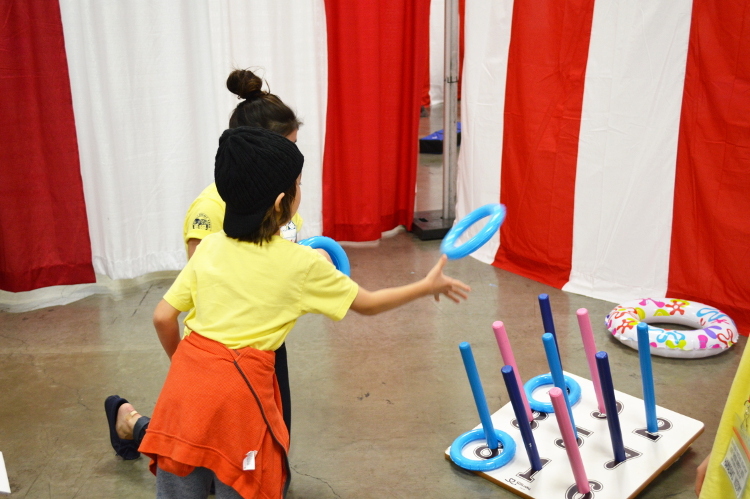 There were some traditional games such as throwing hoops, shooting targets and yo-yo fishing which gave a sense of nostalgia toward the Japanese visitors. Everybody was preoccupied with playing games. 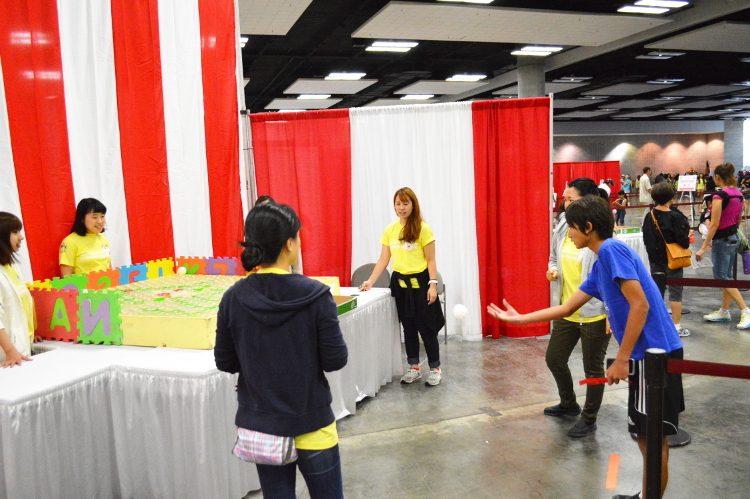 Not to mention, there were food booths which are also one of the highlights of our Ennichi Corner. There were various foods offered from Japan, America and Hawaii. Furthermore, there was an ice cream inside the strikingly-large size corn dogs. 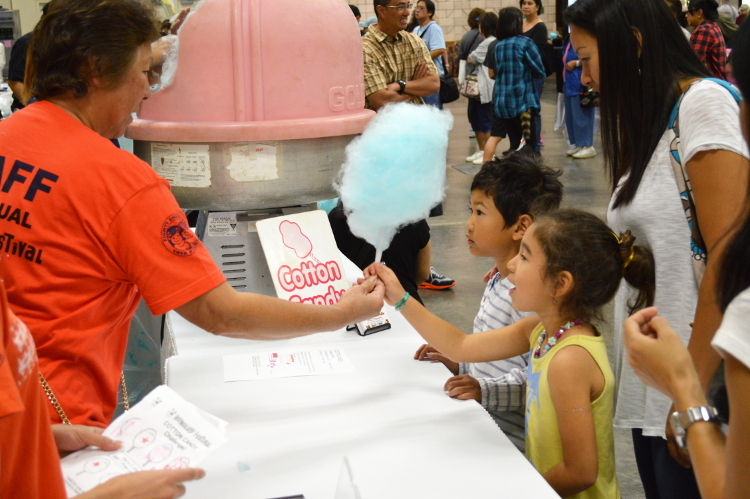 Also, cotton candy is one of the popular snacks at the festival. The girl seemed very delightful after she received her candy. 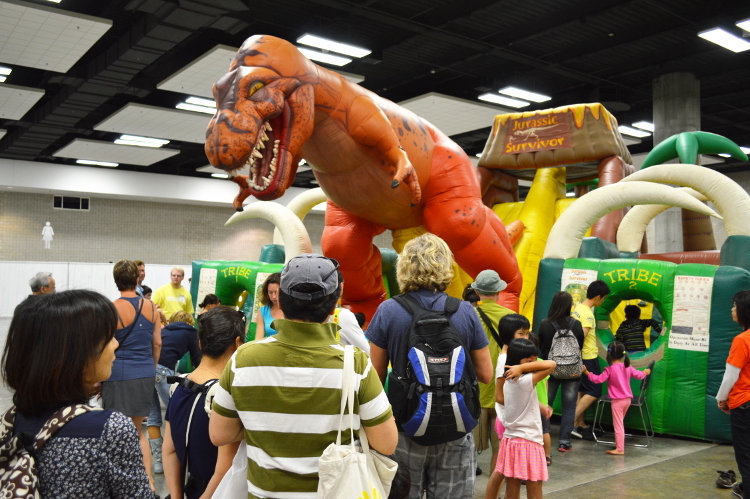 In addition, the Carnival Corner was also popular which consisted of inflatable equipment that you often see in the American festival. The families smiled happily and created wonderful memories. Please look forward to the next year!